When you are shopping for new items in your wardrobe, where do you go first? For me, I usually start by trying to re-purpose what I already have. If that is impossible, (and it often is) I hit sale racks at Walmart or Old Navy. Occasionally, I’ll get lucky and find something cute at our dinky little local thrift store. I like shopping online, but shipping costs and new clothing costs combined add up quickly. When you are on a limited budget, that doesn’t always work out. I’m not a brand name connoisseur. I’m happy to wear what fits and looks good on me, even if it bears a humble name tag. But it is true that sometimes brand names have better quality and last longer than something I can pick up at Walmart. And a cute dress with a brand name for the price of a no name dress of lesser quality is a no-brainer kind of decision. The idea of being able to browse a virtual thrift store fascinated me. Shopping from home is so much easier than navigating the city and spending a whole day in town on the hope of finding one good dress at a good price. On several good recommendations, I went over and signed up right away. Not only were the sites easy to figure out (I don’t like sites that I get lost in! ), the clothing looked great and the variety was surprisingly good. Disclosure: Please know that the links below are affiliate links. If you sign up using this link, I may receive a one time referral bonus. We are always grateful for your support of this site. Thank you! Twice Clothing offered a 20% off coupon for liking their facebook page. They regularly provides free shipping on orders as small as $49 and also seems to often offer discount codes for additional percentages off your order, and free returns within 30 days for a full refund. ThredUp has been offering children’s clothing for a while. I was excited to see that just this week they began offering clothing for women as well! They are currently offering a $10 off coupon right up front, and a promotional code for free shipping on your first order. I think I mentioned that the sites were easy to navigate. Each site has its own style of navigation, but on the whole, neither one was difficult and both offered plenty of options to narrow down your search. You can look for products by category, size, style, color, occasion or brand. I believe you can sort by item price, as well. The pictures are clear, and it is easy to see what you are buying. They tell you the condition of the item upfront, and the price reflects that. Twice gives exact measurements of each part of the garment. ThredUp lists the size on the tag. Both sites show the original price of the item so you can get an idea of your potential savings, which can be kind of fun! You can earn money or store credit with both Twice and ThredUp by selling your own gently used clothing to them. They both make it easy to send in your clothing and offer around 40% of original value of the item upfront if they accept it. All the feedback I’ve heard about both places has been very positive. A friend who has ordered children’s clothing through ThredUp said the quality was excellent and the shipping was super fast. Others have worn adorable outfits from Twice and I couldn’t tell that they weren’t brand new. I was impressed! If you haven’t signed up for ThredUp and Twice Clothing, it only takes a moment to do it. I simply entered my email address and a password and I was shopping within a minute or two! You can also sign up with your facebook account instead of choosing an email address and password. 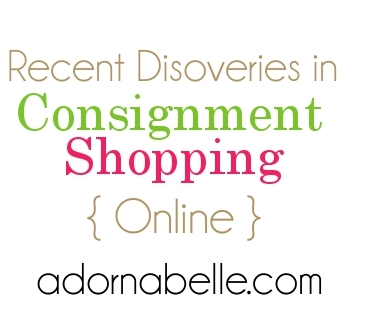 I’m looking forward to exploring these two online consignment stores more. I’m excited about placing my first order for a cute top soon! Thanks to the coupon codes and free shipping on my first order, I’ll be paying next to nothing. And that’s the kind of bargain that makes a penny-pincher like me grin. Already Been There and Done That? 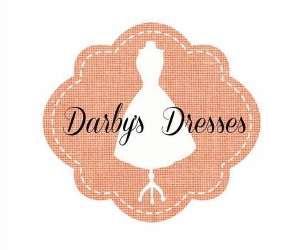 Do you know of more online consignment stores? 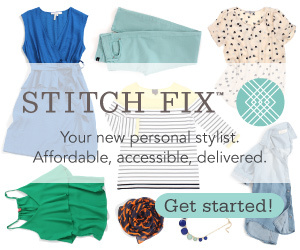 I’d love to hear about where you get your online deals for gently used clothing! If you have ordered from ThredUp or Twice Clothing, I’d love to hear about your experience, too! What did you love or un-love about the process or the products? This was grand! Thanks for sharing! I placed my first order at ThreadUp.com last week and absolutely loved just about every aspect of it!! They have a large enough selection to choose from. I placed an order for $53.00 and I got 8 items 4 pairs of Jeans, (all great name brands on everything too!) 2 blouses, 1 top, and a Spoiled hoodie with zipper jacket! Plus there is a promo code that I could use (not sure how long this is good for) for $15 off first order! Use code LUCKY15 at checkout. But at the time I was checking out, I had gotten a call and was distracted and forgot to put in my promo code, so I messaged the support desk and asked if it was too late to apply this code to my order. Stephanie responded right away (within 24 hours) and totally made it happen! I paid with PayPal, but you can pay with debit/credit also. Oh, plus I got free shipping and a free bag with shipping pre-paid to send a stuffed bag of clothes I would like to get rid of, AND they are going to pay me for them!! Usually I just take them to my local thrift store and do not get paid for them. So I am excited all the way around with this store!! If I had one thing to complain about it would be that when you put in your filter criteria, it includes items on either side of it. Say I want size 12 jeans… it will include 10’s and 14’s and maybe some others close to it as well. But other than that, it was a joyful experience that I am definitely going to repeat and utilize!! If you are on a tight budget or live in a small rural town that doesn’t have much to offer in the way of fashion, then you have to check out ThredUP!!! You won’t regret it! I am so excited to receive my box today! I ordered last Thursday and tracking said it should arrive via UPS today. (Thursday) So one week is about it. Not too bad for free shipping! Happy Shopping Ladies! !